The Baltimore Ravens announced Monday that they'd terminated Ray Rice's contract, just hours after TMZ released a disturbing video of him punching his now-wife Janay Palmer in an elevator last February. Shortly afterward, the NFL announced that Ray was indefinitely suspended. While I'm glad the Ravens finally got rid of Ray, the idea of punishing this violent act of domestic abuse wasn't always so obvious to the NFL, and Janay Rice had to suffer through the media storm that ensued. I won’t call myself a failure. Failure is not getting knocked down, it’s not getting back up. Her role in being knocked out by her fiancé? Common sense would say that that is an issue for Ray and Ray only to take responsibility for. By choosing that to highlight, the team ultimately assigned even a part of the blame to Janay. It is the same pervasive attitude that has allowed such lax punishments for these horrific acts in the first place. Additionally, the Raven's Senior Vice President of Public and Community Relations Kevin Byrne penned a column extolling Ray as a totally great guy as public outrage mounted over his initial minuscule two-game suspension. Oh good. So he's not so great with respecting women, but with children? Totally. At this point, did the Ravens really have a choice in letting him go? Absolutely not. But the fact is, they never should have. With all the public displays of support for their player, it's abundantly clear that this latest video, which they claim (likely incorrectly) they'd never seen before today, was the nail in the coffin that they were desperately trying not to close. It shouldn't take such a graphic video for the team to let Rice go. 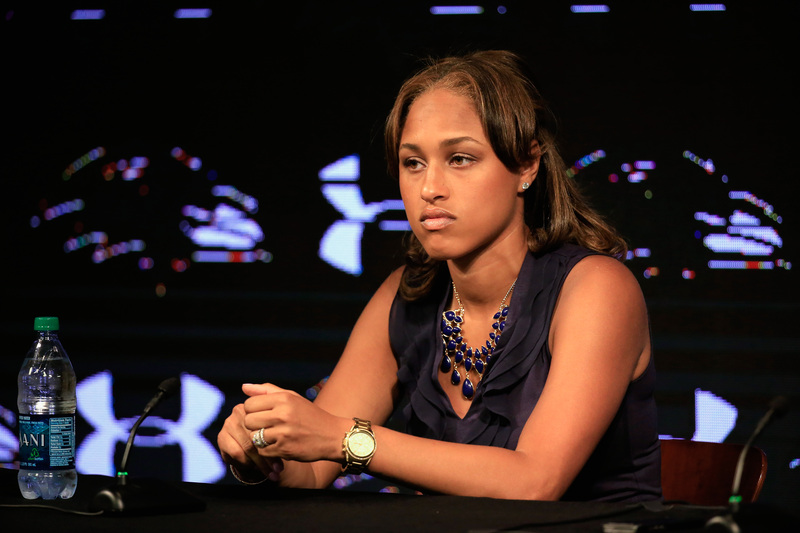 It shouldn't take such a terrible event for the NFL to change its policies on domestic abuse. But the only thing I can hope is that the entire league, not just the Ravens, understands how grave an issue domestic violence is. Now, we can only leave our thoughts with Janay, who will face yet another wave of very public replaying of the incident.